It’s been a long time coming, but the doorway to Pandora has been opened once again and, with it, a chance to spend countless hours pouring over the contents of a loot chest comparing every minutiae to see if you can add another 0.1% accuracy or an additional 0.2% zoom. We love it though. Stat whores, I mean. 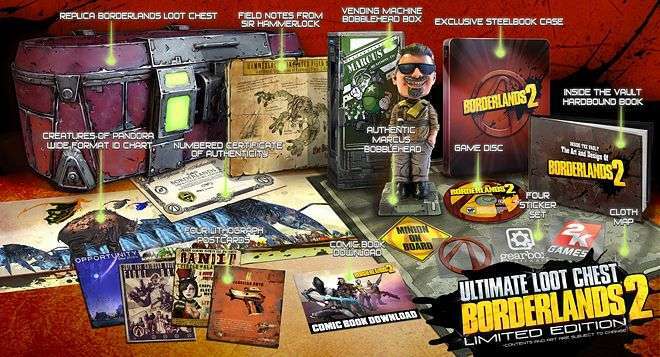 The only thing missing for the Borderlands weapons fanatic was the option to have a chest of their very own, sitting at the foot of their bed, filled with the complete works of Shakespeare, or maybe even some speciality magazines from Sweden. 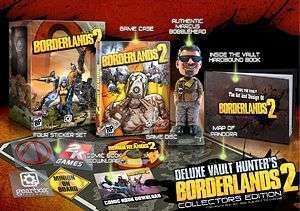 Gearbox knew this, and so they worked with 2K to give us an incredible-looking piece of eye-candy… the Ultimate Loot Chest Edition. The punters knew this too and, to the surprise of absolutely no-one, these loot chests sold out quicker than an episode of Blackadder Goes Forth can throw out a simile. Yes, I know what we just did, don’t write in and complain. 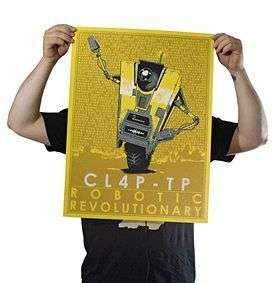 We love you guys though, and we here at GLHQ love Borderlands… and we want to share the love. To that end, we have a ridiculously-generous giveaway for you all, and a chance for you to win one of THREE prizes. What was so special about Nine Toes? This contest is open to anyone over the age of 16, in any country worldwide. Please note, however, that the actual GAME will be in PAL format so if you have an NTSC system then you may not be able to play it. Anyone who doesn’t follow @GamingLives, doesn’t tweet the phrase or doesn’t get the correct answer will not be eligible for the final draw – all three criteria must be met. The contest will run until midnight GMT on Sunday 23rd September, at which point we won’t accept any more entries and the three winners will be selected at random on Monday morning and notified immediately. We will also update this page with the details of the winners. You may enter the contest as many times as you like, provided you tweet the phrase each time (don’t go crazy or people will unfollow you… nobody likes a spammer) but only ONE prize will be given per person so if you were selected as the first prize winner and again as the second prize winner, you will forfeit the second prize and it will go to the next person drawn. Thank you for the win and the contest! Can’t wait to get the shirt and cards! Thanks for the loot! Blasting away as I type’!